Don't let Rosslyn's majestic skyline mislead you. There's wild, juicy fruit to be had in Rosslyn. No risk of dog pee on that plant, guaranteed. 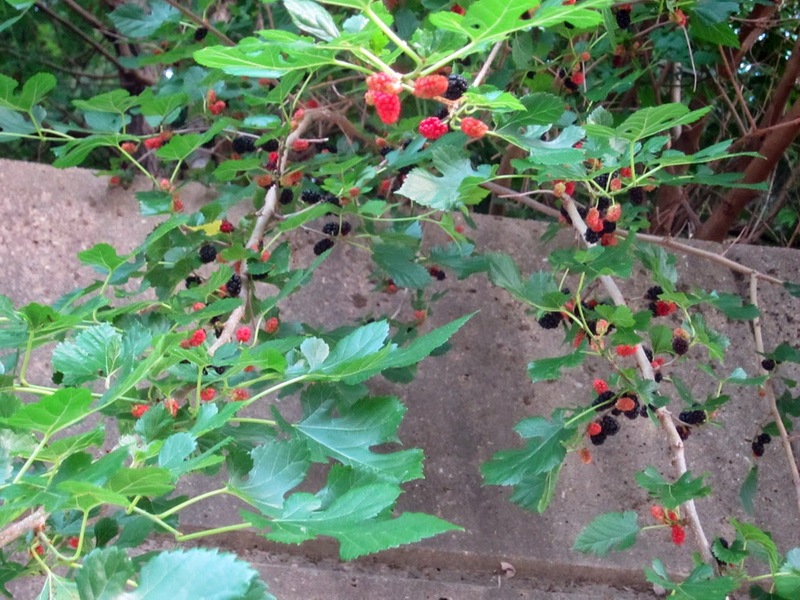 As to edibility, OST has informal reports of persons eating the berries with no apparent problem. But that isn't advisable without an authoritative identification of the plant. Difficult financial circumstances at the Tribune regrettably don't allow a full investigative report on the plant.